I hope I'm not the only one out there with weirdly oily eyelids. It's seriously the most annoying this--I'll apply a gorgeous, high-pigment, buttery shadow, like one of the Anastasia Beverly Hills single shadows, and half an hour later, it's completely gone where my eyelids crease. 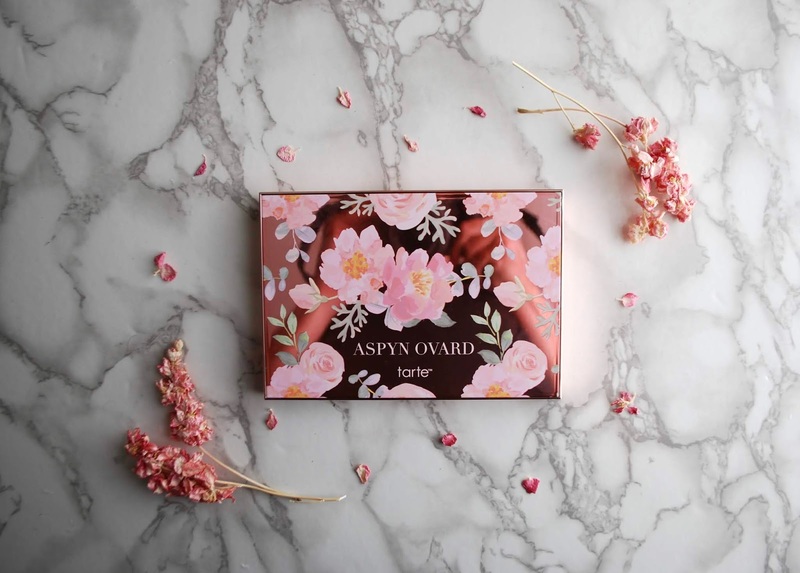 Well, if you're in the same boat as I am--or even if you're just looking for an everyday warm neutrals palette, keep on reading for my review of the Tarte x Aspyn Ovard palette. This palette consists of two complexion powders--a blush and a highlighter--and nine powder eyeshadows in a mix of matte and shimmer shades. The rose-gold and floral packaging feels comfortably heavy and luxe. 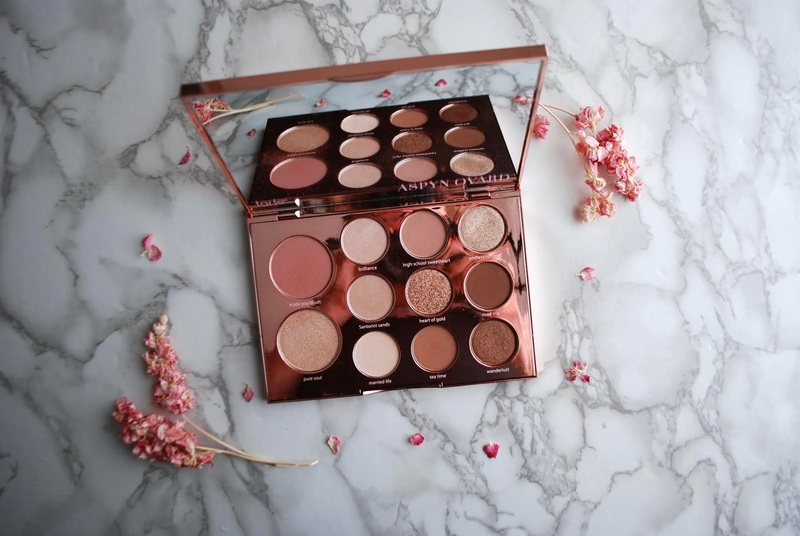 When you open up the palette, you're hit with a delicate chocolatey scent, which quickly goes away and doesn't transfer to the eyes (which I'm so glad about, as I have sensitive eyes and don't like makeup that smells like food). Below, I've swatched my fave shades and the blush and highlight: from left to right, it's santorini sands, made you blush, pure soul, brilliance, tea time, endless summer, high school sweetheart, and wanderlust. I was so thrilled when I started wearing the shadows because I honestly didn't expect them to adhere to my eyes for more than hour (due to the aforementioned oily lid issue). I applied them without any eye primer so my hopes were exceptionally low. I was so thrilled that at the end of the day, my eyeshadow LITERALLY looked as good as new. I was honestly shocked and that's what sold me on this palette and has made it a firm staple in my routine. Well, the main downside for me is the highlighter shade. This is a big no-no for me as it has visible chunks of glitter that honestly ruin any complexion highlight in my opinion. If you love a glittery cheek, GO FOR IT! you do you. It's just not for me and makes me feel a teensy bit too young. I have found that this shade can used as an eyeshadow and in that placement, it's a gorgeous cool-toned highlight--perfect for bringing some light to the middle of the eye or the inner corner. I was also concerned that the blusher shade would be too dark for me, but when I applied it, I actually loved how it kind of had a sculpting affect. It's not too warm even for my rosacea face (is that a phrase?). It is VERY pigmented, so use an extremely light hand and buff it out gently on the cheek bone--making sure to keep your blush from creeping in too close to the sides of your nose, which can make you look a bit "makeup-y". The blush also doubles up as a gorgeous warm eyeshadow, too. 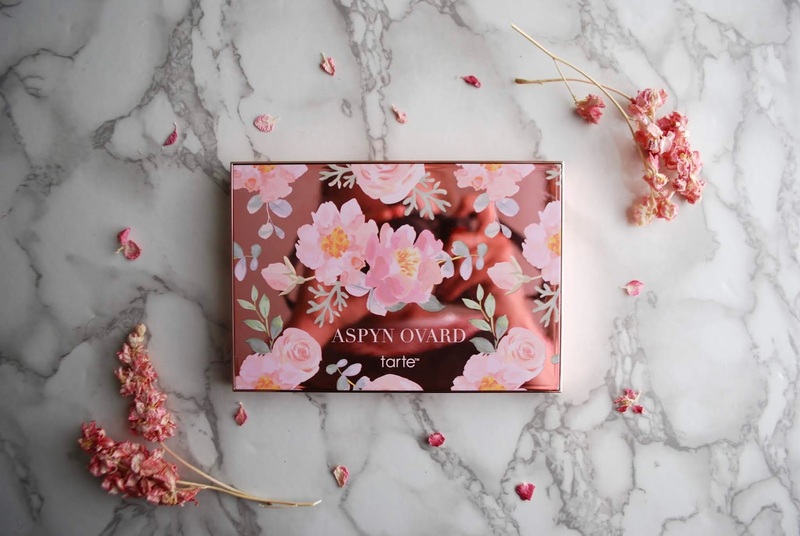 Have you guys tried the Tarte x Aspyn Ovard palette? What's your fave everyday palette? That palette is gorg! Such an aesthetic, thanks for sharing your thoughts!